I love that this set contains two stunning deer in a layered stamping format that makes is super-easy to add detail and dimension to these beautiful images. To add a little more texture to the woodland theme I couldn't resist popping the scene on a card blank created from my favourite Altenew white woodgrain cardstock. 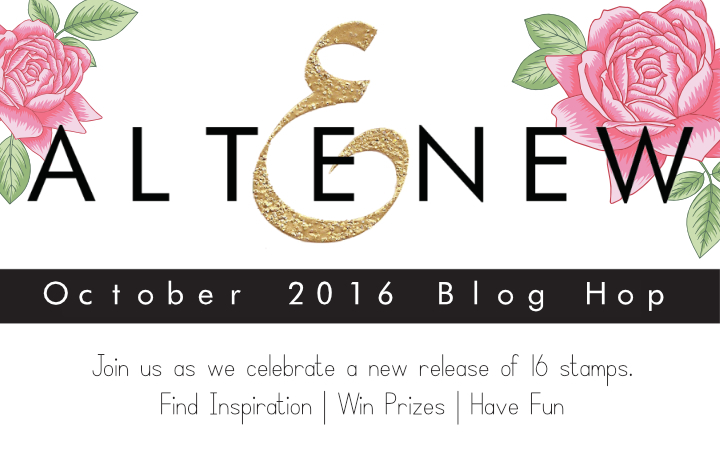 Now a blog hop wouldn't be a blog hop without prizes, right? 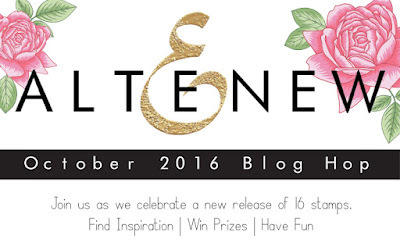 Altenew are giving away a $50 gift certificate to THREE lucky winners and I'm giving away a $30 gift certificate to one lucky winner. To be in with a chance of winning the $50 gift certificate, leave a comment on the Altenew blog and to be in with a chance of winning my $30 gift certificate pop a comment on this post. All comments need to be left by Wednesday October 19th at 11.59pm EST and winners will be announced on Thursday October 20th. Good luck! Well, that's enough from me today as it's time for you to hop along to the next stop which just so happens to be the lovely Nicole Picadura – happy hopping! Lovely card! Thank you for the idea with this great release. This deer set is just adorable. Thanks for sharing with us!! That deer just makes me smile!! Great card and awesome release! OOOOOOOOOOOOOOOO! I simply adore this lovely card!! I am dying to get y hands on this set!! It will be frequently used all year long to create cards and home decor for our outdoor loving family! Thanks for the eye candy!! LOVE IT!! TFS! Love the soft look in this cute creation with an adorable deer! I am wondering how you did the background on the card.....is it stickles or sequins? Love the card. You know the deer is very realistic looking, that is what I love about all of Altenew's stamps! I see these little creatures out my back window all the time, your scene is precious! What a sweet card. Love the colors! I just love this deer and how you used it on your card. The deer is moving up on my list every time I see it. I like the foot prints in the snow, nice job! Very sweet card - thank you for sharing! Deer often visit the small mountain town where I live, so your gorgeous card has quite the impact for me! You've captured the deer's delicate beauty wonderfully! Love how you created the snow flakes. Great card Amy! Love the deer images in this new set. Thanks for the inspiration and chance to win! Simply beautiful.. Love the soft colors. Love that sweet deer. Great card. Great card with refreshing colours and square shape! Loved the textured background. Great colors! This is such a gorgeous card and I'm going to need the deer stamps now! What a sweet card! So simple and lovely! Beautiful card... love the way you framed your pretty winter scene. TFS!! Such a lovely Modern Deer holiday card! That image, staring out like that, is simply adorable! Pretty! Love the minty green you chose! The snowy footsteps are the perfect little touch! gorgeous card. Love the bright red frame it really POPS!! Ohh the woodgrain was a great choice. Lovely card! Love the Modern Deer card! I love this deer, it is SO PRECIOUS. You can't go wrong with animals! Lovely card!!! the deer is just precious, wonderful release so many stamps to try. Great card! Thanks for sharing! That deer is awesome. Such a sweet card! Loving this stamp set. Love the deer - what a great new release from Altenew. Love your card! The framing really makes it pop. Great release, lots of inspiration here! Thank you! Fabulous card! Love the soft colors. This is such a sweet card. I love your color combination. I love your card! The deer looks so lifelike and the background reminds of a quiet winter morning. Awesome card! I just love that deer design. The deer is so lovely! Very simple and sweet! Love the soft colors! Amy, thank you for the sweet little deer in the snowy scene. Looks a little like our weather here, and I even have the deer. Your card is beautiful! Nice card for folks that just want a winter sentiment. Cute card love this new stamp set. Very pretty, I really like these colors all together. I love this little deer, it's really cute. Your card is beautiful. Love your deer card--so gorgeous! What a great new bunch of stmaps! That deer is wonderful. Great card! Wonderful image and card, can't wait to get mine! Wonderful card n colors ! I'm loving this deer and the way you designed the card. Pretty. Lovely card. Loving the background too. soft and beautiful, just like they are in real life. This is different and charming. I love it! What a beautiful winter scene, so serene! I love square cards. Beautiful deer. Love these stamps. Aimes, Love your deer card! Love how you showcased the deer, such a pretty card. Great card makes winter much more appealing than the rain outside my window. Your adorable deer card would make anyone smile! Great card, love that pop of red. TFS!! 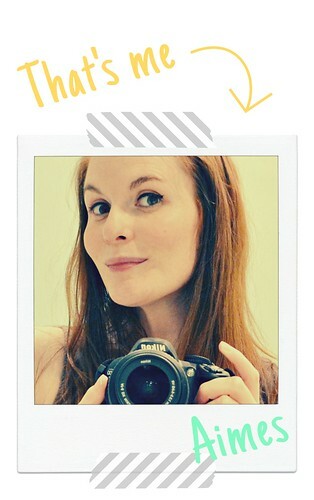 This is really lovely Amy, what a beautiful card! This little fella is too cute! Love love your choice of colours! I like the little deer. Did the foot prints come with the set. So cute. Such a sweet and beautifully made card! Lovely. I love the woodgrain and the snow glitter aqua background. So simple but so elegant. Love your card. This is the cutest deer. Looks like the ones hanging around my backyard in Ohio!! Beautiful card, love the deer, so natural looking in this scene and the wood grain card stock is an awesome detail! Your glittery snowflake background is so pretty! Love that Modern Deer stamp set and you certainly made him the star of your card. What a beautiful scene you created! Love your design! That deer is a cutie, makes a sweet holiday card! All the deer cards are so different, but they're all beautiful. I did buy one of the other sets but I think this one will go on my list too. I love the silver snow! Very pretty. Love the colors you used! Your card is lovely, Amy. That red border really makes the deer focal point pop! I just love this little deer, he is precious! Wonderful card! I love the way you used green and red paper to make your Modern Deer "pop". Deer is so cute and the woodgrain cardstock super. I too like the option of two different deer. I haven't seen any reclining deer stamps before. Thanks for including the extra texture too. This Modern Deer has already taken my heart, and thus I love what you've done with it. Quite inspirational. I love the simplicity of the deer. I assume you used only one or two layers, but it's very effective. What a stunning card! That deer stamp set is probably my favourite in this release. Love the colors you chose for the card! Such a lovely card...I love the red frame with the softer colors. Love the footprints in the snow - so realistic! That deer is so deary! 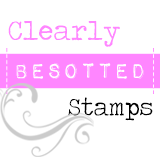 Lovely stamp set and love the composition you did. Thanks for sharing! Just love the footprints in the snow! Love the realistic look to the deer, and the glittery background. That is such a beautiful deer. Such a Sweet card!! Love the soft colors!! Classic colors on your modern deer! Gorgeous, the colors on the card are fun, the deer looks fabulous. This deer has just won me over. Lovely card. Your card has such a lovely serene feel to it. Such a cute deer and so is your card. This is gorgeous! Love that deer! Really cute card! You did an awesome job. The Modern Deer Stamp set is sooo realistic and I love the snowy background...so gentle and peaceful! Beautiful card with a lovely color combination! Your card is simply sweet. What a lovely card! The deer is so sweet! Beautiful card Aimes...that deer is awesome!! Adorable card! I love the background and the sweet deer. So simple yet so beautiful Thanks for sharing. I can, just, imagine glancing out a window, and seeing this! I like the choice of colors :) thanks for sharing. Great card, simple yet elegant! Lovely card and thanks for a chance to win! That Modern Deer looks so realistic, Amy, especially with your snowy backdrop. Love the footprints, too! Great card. I love that sweet deer. That little deer is so cute standing out in the snow. You could use this for fall and winter and maybe spring! The deer is beautiful. I love your inspiration. I'm loving everything you put together on this card, it just works! I love that deer. It's so cute! Love the soft coloring on the image panels and the bold red and teal matting looks great contrasted with it. Well done. Such a sweet card, the deer image is adorable! I especially like the background on this card. Beautiful card! Love the red border! OMG, this is such a beautiful card! I love the modern deer stamp set. Thank you for sharing. Simple, and simply wonderful, Aimes! DELIGHTFUL card - LOVE your DEAR deer and scene, the SPARKLING background and POP of red & green in the layers looks FABULOUS!!! Love the beautiful deer card you made, and the addition of the wood grain effect was perfect! thanks for sharing and thanks for the chance to win! The footprints in the snow make the card more life like!! Love all the layering: papers and stamping!! Beautifully crafted, such an elegant design!!! This is so awesome! Love the soft colors & the touch of glitter on the background. Makes it really nice & festive! 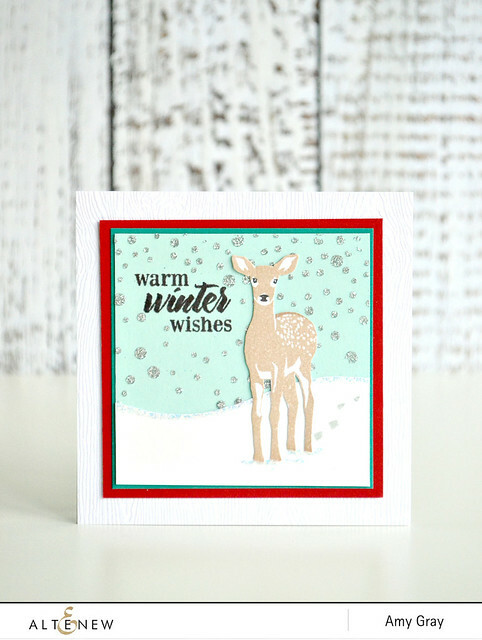 Beautiful card, you showcased this lovely deer so delicately, like your snow! So beautiful. Love the snowy scene and the soft colours. Sweet card, the deer stamps are a must have! love how your cute little deer is walking through the snow! I just love this Altenew deer stamp and your card is so pretty! Such a peaceful card and I love the colors. Such a sweet card, just darling! Such a sweet card Amy. Love the deer image and the soft colors.